Home sellers in Bellevue can do no wrong right now. The real estate downturn that started seven years ago seems to be a distant memory, as the Bellevue market has warped into an inventory-crunched, pent-up demand, rabid marketplace of home buyers. The average sale price of a home in Bellevue last month was 3 percent above its list price. Sale-to-list price ratios have been above 100 percent since January. Almost every home that comes on the market, and is priced reasonably, is selling right away. Multiple offers and bidding wars are the norm. The only question mark in the market right now is: Why aren't more homeowners putting their homes on the market? As of the end of May, the median home price for sales in the Bellevue real estate market was $782,000. This includes the city of Bellevue and its smaller incorporated enclaves of Medina, Hunts Point, Yarrow Point, Clyde Hill, and Beaux Arts. This median sale price was a 13.3 percent increase over the same time last year. Double digit appreciation isn't expected to continue long-term. Most projections show slower, steady growth in the coming years. Within the city of Bellevue itself, the median home price was just a bit lower at $747,975. That's 14.6 percent year-over-year appreciation, a rise in prices that outstrips most of the greater Seattle market. While the median home prices in the Bellevue area are high, there are still single-family homes available under $400,000. Condos can be found under $200,000 in Bellevue. They are a small part of the local market, but they do exist. If you're looking for a home in Bellevue during this fast-moving market, you can't depend on a national website that takes days to update with new listings. You need the direct daily feed from the MLS to find homes the first day they're listed by real estate agents. Interest Rates At Yearly Lows Again: Mortgage Backed Securities pricing has moved to the best levels in over 12 months. The last time we were here was for a couple days back on May 29th. Pricing stayed there for a short time and then moved higher quickly. Rate moved up about .25% and then slowly moved lower back to current levels. This is common behavior for a market that does not want to push rates lower but also does not have a lot of confidence in the overall economy. Inflation readings this week calmed fears that this measurement was overheating. Geo-political concerns and a stalling stock market are supporting low interest rates. There is concern of a move higher in rates based on the last visit to these levels but not much concern of a major increase. "Help! I need somebody." The Beatles. While the Fed has been working hard to help our economy shake off the recent recession, some key reports continue to disappoint. After six years and over $4 trillion of stimulus geared toward promoting economic growth, the final reading for 2014 first quarter Gross Domestic Product (GDP) came in at an anemic -2.9 percent. This was worse than expected and the worst reading since the first quarter of 2009, the height of the recession. The report showed that consumer spending fell to 1 percent from 3 percent, which is a big concern as consumer spending is a main driver of our economy. Harsh winter weather early in the year was a key factor in the contraction. GDP is considered the broadest measure of economic activity, so it will be especially important to see if the second quarter data (from months with better weather) shows signs of improvement when it is released at the end of July. Housing continues to be a bright spot as New Home Sales for May surged by 18.6 percent to an annual rate of 504,000, well above expectations. Existing Home Sales for May were also up 4.9 percent from April, reaching their highest monthly rate since August 2011. Meanwhile, the Case-Shiller 20-city Home Price Index rose 10.8 percent in the year ended in April. However, from March to April, the 20-city Index gained just 0.2 percent. A spokesman for Case-Shiller said that overall prices are rising month-to-month, but at a slower rate. What does this mean for home loan rates? The weak GDP report, tame inflation news and a decline in Stocks boosted Mortgage Bonds last week. Since home loan rates are tied to Mortgage Bonds, home loan rates reached some of their best levels this year. The takeaway is that now remains a great time to consider a home purchase or refinance. Let me know if I can answer any questions at all for you or your clients. Existing Home Listings May Bring Some Relief In Tight Supply: New NAR data shows more homeowners are putting their homes on the market for sale. The numbers for May are the highest in over 2 years. Despite the gains most markets are still below normal levels. There were 2.28 million existing homes for sales in May which is up from 2.15 million one year ago. In the 5 years leading up to the 2007 peak, there was an average of 2.77 million existing homes for sale. Industry experts confirm that many potential buyers are on the sidelines waiting for more favorable options and possibilities of actually getting an offer accepted. Increased inventory is good news and appreciation rates are still strong so we may see more. Housing Recovery Reflected In Latest Builder Report: Confidence among U.S. homebuilders rose in June by the most in almost a year, a sign the residential real estate market is stabilizing after reeling from severe winter weather earlier this year. The National Association of Home Builders/Wells Fargo sentiment gauge climbed to 49 this month from 45 in May, the biggest gain since July 2013, figures from the Washington-based group showed today. Readings greater than 50 mean more respondents report good market conditions. The median forecast in a Bloomberg survey called for 47. Current sales, the outlook for future purchases and prospective buyer traffic all improved this month, this week’s figures showed, indicating mortgage rates close to historically low levels and a strengthening job market are sustaining demand.Improving sentiment comes as the world’s largest economy picks up this quarter following a contraction in the first three months of 2014. The increase "is a welcome sign and shows some renewed confidence in the industry," NAHB Chairman Kevin Kelly, a homebuilder and developer from Wilmington, Delaware, said in a statement. "However, builders are facing strong headwinds, including the limited availability of labor." The gain this month in the index was the first this year. The measure of the six-month sales outlook improved to 59 in June from 56 which is the highest since January. By region builder confidence improved in the Midwest, West and South. Seattle Area Prices Continue To Show Strength: The April Case-Shiller Report was released last week and shows continued strength in housing prices ruled most markets. The strength of our housing market is reflected in appreciation rates double the 20 city index average. Year over year appreciation was 11.2% for King and Snohomish Counties and is the 14th consecutive double digit month. Prices increased 2.3% from March to April rebuffing ideas that pricing increases were slowing significantly. Area prices are still 14% below peak levels of 2007. Case-Shiller chairman, David Blitzer, analysis concludes that the markets still have a way to go for full recovery. He points out that price increases are being driven by non-traditional factors: unusually high investor activity, very low existing and new construction inventory and declining foreclosure inventory. He pointed out that first time buyer activity remains below normal levels. First time buyers are often competing with investors. Local foreclosure rates have fallen to 1.4% of all homes with mortgages from 2.1% last year this time. Interest Rates Move Back Toward Yearly Lows: The factors influencing interest rates would typically suggest lower interest rates. Turmoil in the middle east, Fed statements that the economy still needs support to achieve a self sustaining recovery, elevated unemployment and still tepid recovery measurements all suggest that rates could move even lower. The restraining factor currently is increased inflation measurements. The most recent version showed inflation right at Fed targets of 2% annual increases. Rates have been typically below this number and current levels may be a temporary bump. For now we are in a holding pattern around current levels without an observable trend up or down. .
"You're hot then you're cold." Katy Perry. Inflation is heating up, while the housing market shows signs of cooling. Meanwhile, the Fed continues to taper its massive Bond-buying program at a steady pace. The hot housing market from 2013 is cooling off as the second half of 2014 approaches. May Housing Starts fell by 6.5 percent from April to an annual rate of 1.001 million units. Housing Starts measure the number of new residential construction projects during any particular month. Meanwhile, Building Permits, a sign of future construction, declined by 6.4 percent to an annual rate of 991,000. In addition, Freddie Mac's 2014 Economic and Housing Outlook revealed that single-family housing remains weaker than Freddie Mac projected six months ago, while multi-family dwellings appears to be on track. There was some positive housing news, as the National Association of Home Builders Housing Market Index rose to 49 in June, up from 45 recorded in May. The reading for June is one point shy of the 50 threshold, the level that's considered good for new construction conditions. On the inflation front, the Consumer Price Index for May came in hotter than expected. This is significant because inflation erodes the value of fixed assets like Mortgage Bonds. And since home loan rates are tied to Mortgage Bonds, hotter inflation could spell trouble for home loan rates as we move further ahead this year. Also of note, the Federal Reserve announced that it will continue to taper its massive Bond-buying program. Beginning in July, the Fed will purchase $15 billion in Mortgage Bonds and $20 billion in Treasuries per month, an overall decrease of $10 billion. What does this mean for home loan rates? Tensions overseas, the Fed's Bond-buying program and weak economic reports have been key factors in helping Bonds and home loan rates improve this spring. However, hotter inflation could spell trouble and it's something to watch closely in the weeks and months ahead. Extreme Eastside Market Demands Extreme Measures: Any self respecting Real Estate professional would not typically recommend their buyers to waive inspections, to not bother making an offer on a home unless the are willing to exceed their price range, write cheesy motivation letters to the seller, or ( gasp ) ignore the appraised value. For buyers to compete in the Bellevue, and some other Eastside, markets; that is exactly what it can take to win against highly motivated offers. Forget that, in spite of going to crazy measures, your offer may be blown out of the water by a cash offer that can close in days. In the first 3 months of this year, 39% of all Eastside sales were cash. Data and anecdotal stories describe very difficult circumstances for buyers in these markets. Even the lower appreciation rates this year compared to ’13 can mean a big pricing increase in actual dollars. Eastside prices in April were up 7.2% from one year ago. As recently as February 2012 the median value was $362k. Currently that number has risen to $535k. This is creating a sense of urgency on the part of buyers. For now interest rates have trended down but if that changes it will cause even more motivation. Agents relay that they have not seen many homes sell without a bidding war for months. Multiple offers of at least 15-20 are typical with some seeing many more. Bidding wars are pushing sales prices over $100k above listing price. Agents are having to add new skills to their repertoire to keep buyers engaged in the hunt under very discouraging circumstances. Contact me about options to put your buyers in a position to make a cash offer. Negative Equity Still A Major Factor Affecting Markets: A recently released report by Corelogic shows a much improving situation overall with more homeowners recovering usable equity in their homes. While over 300000 homeowners returned to positive equity in the first quarter, only one in five homeowners have sufficient equity to sell and purchase another home. Currently 12.7% of all homes with mortgages are underwater. That improved from the same time last year which was at 13.4%. At current appreciation rates another 1.2 million homes are expected to emerge from negative equity over the next year. Another interesting reading from their report is another 10 million homes have less than 20% equity. Most of the total equity is concentrated in the higher end part of the market. Washington ranked #30 out of all 50 states but about #30-#20 states all were at very similar levels. Interest Rates Edge Higher After 12 month Low: There has not been strong economic data that one would look for to cause rates to move higher. New inflation data at the business level is also tame. The rate pricing moved modestly higher this week in spite of the lack of typical market pressures. This seems to be due to normal trader and market behavior. It is common for market pricing to move away from new levels not seen in a long period of time. This seems to be the case here. All in all it seems market conditions continue to support low interest rates. The stock market rally has stalled for the moment. A big move lower in the stock market would likely push rates lower than the recent low points. "You've got to be careful if you don't know where you're going, otherwise you might not get there." Yogi Berra. It's safe to say the Fed is closely watching where our economy is going, as economic reports continue to be mixed. Retail Sales for May rose by 0.3 percent, led by demand for cars, trucks and home improvement products, though spending eased at most other retailers. The 0.3 percent was less than the 0.7 percent expected and was the lowest level since January's reading. Retail sales account for about one-third of consumer spending, and are the main driver of U.S. economic activity. Growth in this area is a key factor in our economic recovery. In housing news, RealtyTrac reported that there was a 5 percent decrease in all types of foreclosures from April to May, with a heavy concentration in the northeast and along the west coast. There was also a 26 percent decrease from May 2013 to May 2014. In addition, Fannie Mae's May 2014 National Housing Survey revealed that tepid household income and concerns surrounding the U.S. economy are weighing on the housing sector. And in labor market news, after hitting lows not seen since 2007, weekly Initial Jobless Claims rose by 4,000 in the latest week to 317,000. While the labor markets continue to overcome obstacles, the sector is still under a cloud of uncertainty with so many people looking at long-term unemployment. What does this mean for home loan rates? Remember that home loan rates are tied to Mortgage Bonds, so when Bonds improve, rates improve. The weakened Euro, the Fed's Bond-buying program and the tepid economy have been key factors in helping Bonds and home loan rates improve this spring. While Bonds and home loan rates struggled in the latest week, they remain at some of their best levels of the year. Lack of First Time Buyer’s Holds Back A Strong Housing Recovery: Economists and analysts continue to ask why housing is not leading us in to a stronger recovery with so much support from the Fed and time since the turn down. Even Fed Chairperson, Yellen, has made note that housing is not recovering as strong as hoped and they have really spent all their bullets. A recent Wall Street Journal article points out that first time buyers are purchasing at 88% of the average level over the last 10 years. There are many head winds facing first time buyers in the current environment. Recent data points out that income fell most for the age group of 25-34 from 2007 to 2012. Recent appreciation has made homes less affordable, many have credit issues to resolve, inventory is tight in most markets, many have high student loan debt and much tighter credit requirements are all factors. First time buyers are currently 16% of all transactions while they were 22-25% during the 2001 to 2007 period. The good news is we seem to be at the bottom and heading up. 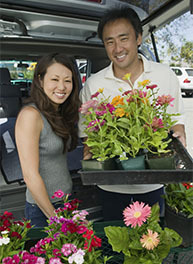 NAR chief economist, Lawrence Yun, suggests the market is improving but it may take a few years to get back to normal. An aerial view of a housing development in Pottstown, Pennsylvania. Mike Trafton bought a house in a suburb of Boise, Idaho, where he plans to retire. He made the deal without signing a stack ofmortgage papers. Trafton, 55, and his wife Cindy, 54, paid $400,000 in cash for the 3,200-square-foot house in Eagle after selling their 4,400-square-foot home in a Portland, Oregon, suburb for $680,000. Like a growing number of baby boomers, born between 1946 and 1964, the Traftons had no desire to get a mortgage. U.S. home-price gains have restored $3.8 trillion of value to owners since the beginning of the real estate recovery in 2012, according to Federal Reserve data. A record number of Americans are using that equity to pay cash for properties, avoiding a mortgage process that has become even more onerous in the wake of the 2007 housing collapse. In the first quarter, 29 percent of non-investment homebuyers used cash, the highest on record for the period, according to data compiled by Bloomberg. The majority of people making all-cash deals are baby boomers mostly because America’s largest-ever generation is beginning to retire, said Lawrence Yun, chief economist of the National Association of Realtors. In 2012, there were a record 61.8 million Americans over the age of 60, according to the Census. That compares with 46.6 million in 2000. Lending for mortgages to purchase homes fell to $115 billion in the first quarter, the lowest in three years, according to the Mortgage Bankers Association. In the first three months of 2014, buyers plunked down $105.1 billion of their own money for properties, compared with $84.7 billion a year earlier, according to Bloomberg data. The share of purchases made by investors, who typically pay cash, dropped to the lowest first-quarter level since 2010. About 10,000 Americans turn 65 every day, according to the Pew Research Center in Washington. Between 2010 and 2020, the group of Americans age 65 to 74 will jump 51 percent, according to Census projections. Combined U.S. home equity, the value of real estate unencumbered withmortgages, rose to a six-year high in the fourth quarter, according to the Fed. Just as they transformed societal norms and politics as college students in the 1960s and 1970s, the generation will change the housing market as they age, said William Frey, a senior fellow at the Brookings Institution in Washington who specializes in demographics. About 16.3 million Americans older than 60 owned their homes free and clear in 2012, according to Census data. In 2009, that number was 12.1 million. This generation will likely stay in the housing market longer than the prior one, said John McIlwain, a senior fellow at the Urban Land Institute in Washington. Last month Snetselaar purchased a one-bedroom home for $450,000 in Heritage Sands, a community under construction on the south shore of Massachusetts’ Cape Cod designed to look like a collection of cottages from the 1940s. Snetselaar, 64, said she’ll continue working as a professor at College of Public Health at the University of Iowa for another five years or so, and then retire to the house in Dennis Port. Snetselaar said when she sells the five-bedroom Iowa City home where she raised her children, she probably will use the proceeds to pay off the mortgage she needed to finance the Cape Cod house. She bought her first home in 1974, when the median U.S. price was about $36,800. About 39 percent of boomers want to retire to a rural community -- either a farm or a small town, according to the Better Homes poll. About 27 percent plan to move to an adult community where activities such as rock climbing and yoga are available. And 26 percent said they want to retire to acity. Going without a mortgage bestows “peace of mind,” said Trafton, who watched families in his Oregon neighborhood lose homes during the real estate bust. When considering the mysteries of what attracts the ultimate buyer, few will deny that "curb-appeal" is a sort of magic bullet. The term is a buzz word for the enticing image of your home as seen from the street, and is similar to the adage of "judging a book by its cover." Buyers who rely upon this might overlook a treasure in the rough, but savvy sellers know curb appeal is a key tool to finding a buyer more quickly. Interest Rates Move Slightly Off One Year Lows: Whenever a market traded asset moves to levels not seen in a long period, they tend to move back the other direction. This is because of how traders tend to behave. This is exactly what we saw last week. Interest rate pricing moved slightly higher but is still close to recent low points we had last week. At the heart of the recent drop in rates seems to bets that the stock markets are overbought and due for a large move lower. History of market rallys and a lack luster economy support that bet. There are more investors shorting ( buying positions that will pay off if the market moves down) now than we have seen in the last 8 years. It is a large number. Employment numbers are improving but most of the new hires are in lower wave positions. This is not suggesting a strong recovery that would tend to move rates higher. For now it seems the market is supporting these lower rates with a possibility of lower rates if the stock market does falter. "The spotlight's hitting something that's been known to change the weather." Elton John. The Jobs Report always has the power to change the "weather" for the markets and home loan rates. Read on to learn what May's report revealed. The Labor Department reported that 217,000 new jobs were created in May. This was in line with expectations, though a decrease from the 282,000 job creations that were reported in April. The Unemployment Rate remained steady at 6.3 percent, the lowest level since September 2008. However, digging further, it's important to note that many low paying jobs dominated the new hires in healthcare, bars and restaurants. In addition, the Labor Force Participation Rate (LFPR) was unchanged at 62.8 percent, matching a 35-year low. The LFPR measures the proportion of working-age Americans who have a job or are looking for one, and it should be moving higher in a recovery. All in all, the Jobs Report for May was a decent one, but nothing that will push the nation into full employment. In housing news, research firm CoreLogic reported that home prices, including distressed sales, rose by 10.5 percent from April 2013 to April 2014. April marks the twenty-sixth consecutive month of year-over-year home price gains. However, as CoreLogic noted, "The weakness in home sales that began a few months ago is clearly signaling a slowdown in price appreciation. The 10.5 percent increase in April, compared to a year earlier, was the slowest rate of appreciation in 14 months." What does this mean for home loan rates? Mortgage Bonds continue to remain at some of their best levels of the year, thanks to the weakened Euro, the Fed's Bond-buying program and the tepid economy. Since home loan rates are tied to Mortgage Bonds, as Bonds improve, rates improve. In recent weeks, home loan rates have hit their best levels this year! 1. The house is fine, but I could make it look bad. As the housing market recovers, more buyers and sellers are getting reintroduced to one of the most nerve-racking rituals in real estate: the home inspection. An inspection, which usually occurs after a buyer has made an offer, is meant to be an objective analysis of a home's condition. Twenty years ago, 75% of purchased homes were inspected; today, it's 95%, according to Bill Loden, president of the American Society of Home Inspectors, a Des Plaines, Ill.-based industry trade group. Inspections aren't a big financial burden: A review of a 2,000 square foot home typically costs around $450, with the buyer footing the bill. But what can make an inspection so stressful is that a long list of trouble signs, without proper explanation, can sabotage a deal. And real estate pros complain that some of the inspectors themselves are overzealous. Many of the nation's 25,000 inspectors used to work in construction, or still do, and their expertise can lead them to bombard buyers with encyclopedic lists of minor problems. A thorough pro will look at the foundation and the framing to make sure nothing is cracked, warped or rotting, and examine the roof for problems with shingles and gutters. Inspectors should also look for plumbing leaks and make sure the water heater, wiring, heating systems and fireplaces are safe. So what constitutes going too far? 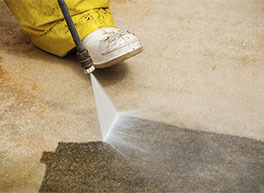 A less helpful inspector might dwell on things like surface mold, chipped paint or other superficial problems, or present buyers with a long litany of issues, with no context about their relative importance and no estimate of the cost of fixing them. The trick is finding an inspector who can relay the critical information and put it in context, says Dave Moersen, of HomeCheck Home Inspectors in Gaithersburg, Md., who's a veteran of more than 4,500 home inspections. "I used to think this job was 95% technical knowledge and 5% communication, but now I think it's the other way around," says Moersen. "Homeowners just want answers." Bohdan Mastykaz, a Redfin real-estate agent in Miami, says the best inspectors take pictures and include them in their report to the buyer: "Pictures make everything black and white, and it's far less subjective that way." 2. Get the house, not the inspection. Most realtors and real estate lawyers recommend including inspection contingencies in purchase contracts. But in most cases the law doesn't actually require an inspection. And in hotter markets, some buyers are opting to skip them. In a competitive bid situation "an offer for $880,000 with no inspection contingency will likely win over a $900,000 offer with an inspection contingency," says Mark Colwell, a real-estate agent with Redfin in San Francisco. Of course, skipping an inspection can leave you in a different kind of hot water. If an inspection turns up a home defect, the seller will be under pressure to either drop their price or fix the problem. If the buyers waive that option, and find a defect afterward, they're on their own when it comes to repairs. Only about two-thirds of the states have laws regulating home inspectors, according to ASHI, and even where regulations exist, the range of rules is wide. In Maryland, for example, home inspectors are regulated by the Department of Labor, Licensing and Regulation; they have to take a 72-hour pre-licensing class and have a license renewal every two years. In New York, home inspectors need a 140 hour pre-licensing course. But in California, there's no license needed and no classes are required; and in Virginia, there are no field training or experience requirements. States that do have regulations on the books typically require home inspectors to take part in as many as 250 home inspections, as observers, before they apply for a license. But those "inspections" just can be a variation of "following Joe around," and there's no guarantee your home inspector is getting the knowledge needed to do a good job when flying solo. If a not-so-sharp inspector misses a defect that eventually costs you, you could sue. But there's no national requirement that inspectors carry any standard of liability or errors-and-omissions insurance, and insurance rules vary by state. In practice, even an inspector who is found liable for damages may not have to ever pay up. You may be able to rest a little easier if your inspector be a member of ASHI or the National Association of Home Inspectors (NAHI); those organizations require their members to meet certain standards of practice and ethics to remain in good standing. While hiring a certified home inspector may not protect you from a bad inspector, at least it gives you a place to complain. 4....and my credentials are pretty easy to obtain. "Certified" membership in ASHI requires a minimum of 250 professional fee-paid inspections, as does the same status in NAHI. But you can be a noncertified ASHI member or a standard NAHI member with just 75 inspections under your belt. Both organizations require some of their higher-level members to pass the National Home Inspector Examination, but neither organization verifies each candidate's inspections, typically just selecting a handful at random to audit. ASHI's Loden says while his group can't police every one of its members, they've removed several from their organization for violations of ethics rules or concealing criminal convictions "When we find people violating our membership standards we try to take care of it, and in states where inspectors are licensed we refer them to the regulatory agency and the real estate board so agents know not to use them," he says. NAHI did not respond to requests for comment. 5. I'll cut corners to keep the agents happy. The inspector ideally should work only for the client. But home inspectors also try to build relationships with agents and brokers to get more business, and that can give them an incentive to play down any problems with a house. Sometimes, the buyer's agent tries to lean on the home inspector so as not to blow a deal, says HomeCheck's Moersen. "I've had calls from buyers agent's the day before my inspection telling me to lay off the HVAC system or the electrical system." Some agents have gone so far as to "weed out" inspectors who they say cause them the most aggravation, he adds: "If you kill a deal, you'll still hear from the agent, but if you kill more than two, you won't hear from them again." Experts say homeowners should be wary if an agent or broker recommends just one inspector to them, of if an agent tries to discuss the inspection directly with the inspector and cut out the client. ASHI has developed what it calls a "Client Bill of Rights," which requires, among other things, that home inspectors' future referrals from a broker or agent not be contingent on their report findings. 6. Feel free to watch. 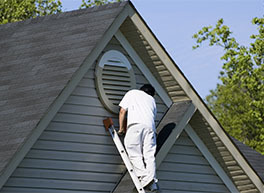 It happens: Some home inspectors are so thorough they can scare a client out of a deal. One way for a buyer to avoid that fate is to accompany the home inspector room-to-room during the actual inspection, says Paul Reid, a real-estate agent in California's Inland Empire region. You'll learn a lot about the home that way, and you won't be surprised when the home inspector comes up with a long list of fixes. "A lot of times buyers will say, 'Do I need to be there for three hours?' and I tell them 'Yes,'" Reid says. Of course, you may have to nag to be allowed to tag along. Mike Tebeau, of National Property Inspections in Frederick, Md., said that some inspectors don't like it when homeowners follow them around the house because it gets them off their routine. But he says that he actually prefers it. "More than likely they've been in the house before and they can point out things that they want me to look at. They're really a second set of eyes." 7. You should bring me in earlier. Traditionally, inspections don't happen until after the buyer has made an offer: the practice is so standard that most inspectors don't think to question it. But having a home inspected before submitting an offer is a relatively frequent practice in San Francisco and Seattle, and some real-estate agents think it's a practice worth adopting more widely. Researchers at the real estate group Redfin in San Francisco say that offers paired with pre-inspections were successful 21 % more often than other offers, and that San Francisco home buyers whose offers included a pre-inspection were more than twice as likely to win a bidding war as those without one. "It tells the seller that you already know what's wrong with the home, you still want to buy it, and you're not going to ask them to pay for repairs later," says Colwell, the Redfin agent. Of course, doing the inspection early also means the buyer will have less leverage to get the seller to either fix a problem or drop the price. 8. To find a serious problem, you may need someone else. Inspectors admit that there are some problems they aren't in a good position to detect. "An inspector can look at the exterior of an addition or a recently-remodeled basement, but without pulling the permits, there's no way of knowing what's behind the walls," said Moersen. Interest Rates Move To Best Levels Over The Last Year: The last time we saw mortgage bond pricing as favorable as this week was June 2013. That was right after the big QE taper announcement. A good summary for the factors affecting rates is below in the next section. Interest rate directions are very favorable right now. The main factor we can see that will spoil the party is if inflation shows a solid trend higher as we approach the Fed’s 2% target. It's been said that every cloud has a silver lining. And while some key reports from last week could mean stormy skies ahead for our economy, the "silver lining" from the worse than expected news was that it helped home loan rates improve. Read on for key details. Perhaps the biggest "cloud" for our economy last week came with the second reading on Gross Domestic Product (GDP) for the first quarter, which came in at -1.0 percent after the initial read of 0.1 percent. This is the first negative reading for GDP since the first quarter of 2011. GDP is the broadest measure of economic activity, and it will be important to see if the number improves as we head further into 2014. In housing news, research firm CoreLogic reported that there were 46,000 completed foreclosures in April, down 18 percent from April 2013. Before the housing market decline in 2007, completed foreclosures averaged 21,000 per month between 2000 and 2006. In addition, the Case Shiller 20-city Home Price Index grew at an annual rate of 12.4 percent in March. Overall, the report showed that housing prices are rising at more normal levels after the big gains seen in 2013. Also of note, signs of inflation are starting to creep into our economy. Core Personal Consumption Expenditures (the Fed's favorite read on inflation) rose to 1.4 percent in April, after a 1.1 percent rise in March and a 0.9 percent gain in February. April's reading is the highest 12-month rate since March 2013. What does this mean for home loan rates? Remember that home loan rates are tied to Mortgage Bonds, so as Bonds improve, rates improve. Mortgage Bonds have improved lately for many reasons, including our tepid economy, the weakened Euro and the Fed's big Bond-buying program. In addition, the uncertainty with Russia and the Ukraine has caused investors to move their money out of Stocks and into less risky assets like Bonds. But rising inflation is something to keep an eye on. Inflation is the arch enemy of Bonds, as inflation reduces the value of fixed investments like Bonds. If inflation continues to heat up, Bonds could worsen, which would impact the improvement we've seen in home loan rates.